Please call or email as custom sizes! 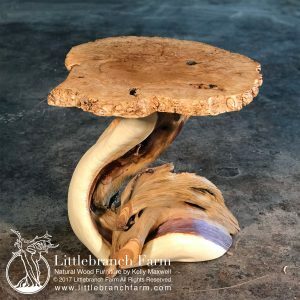 We ship within the USA and Globally! 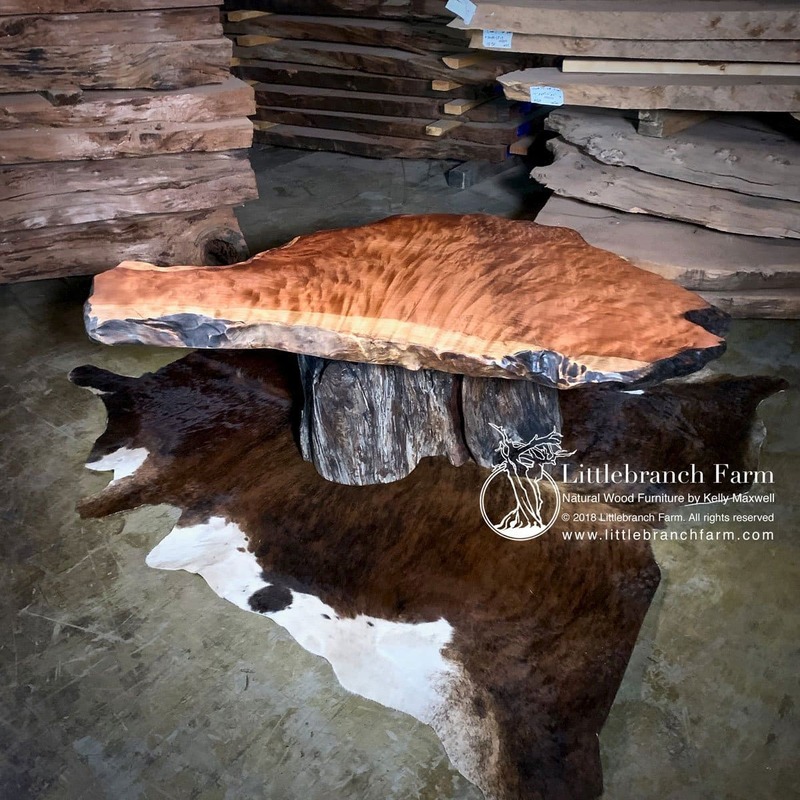 Please contact us for a shipping quote! 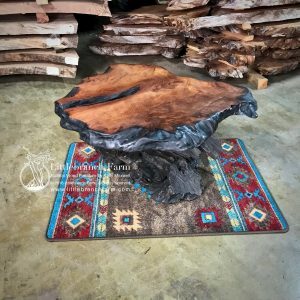 Live edge wood coffee tables are built out of a salvaged redwood wood slab supported by a root base. 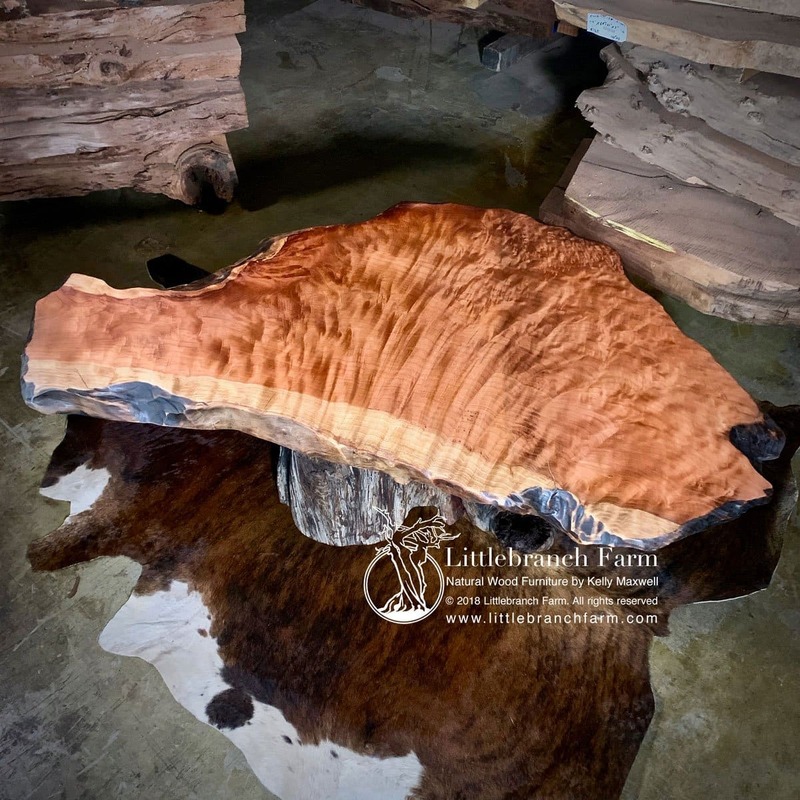 The complex wood grain found in this curly redwood wood slab is stunning. 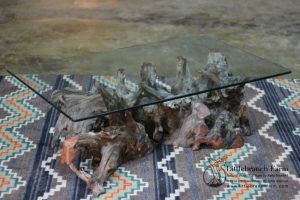 This rustic coffee table highlights a curly redwood slab supported by a weathered gray root base. 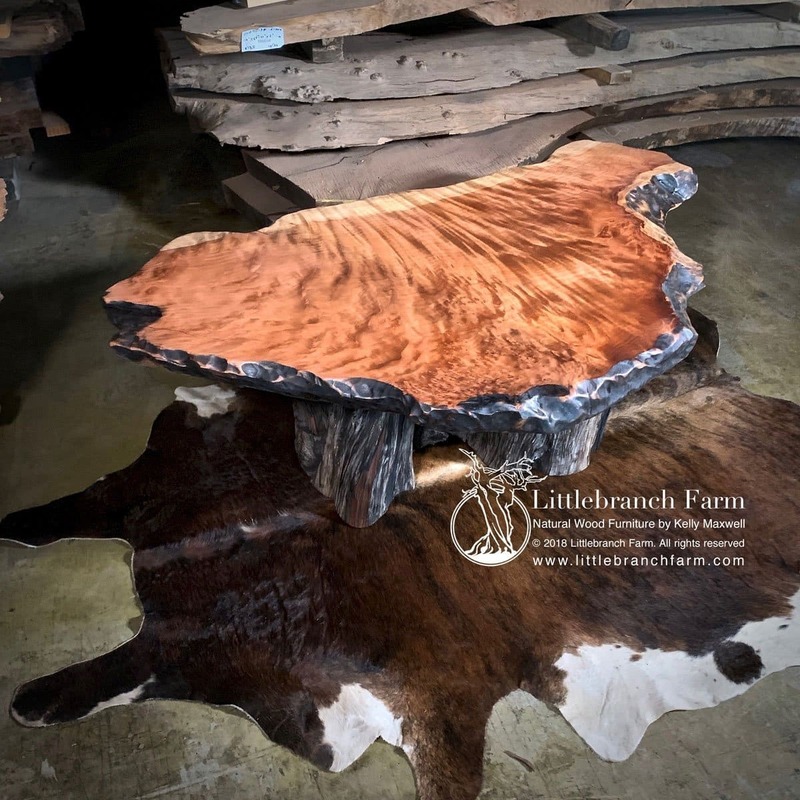 This is a great example of our rustic style live edge furniture designs built by our custom furniture maker. 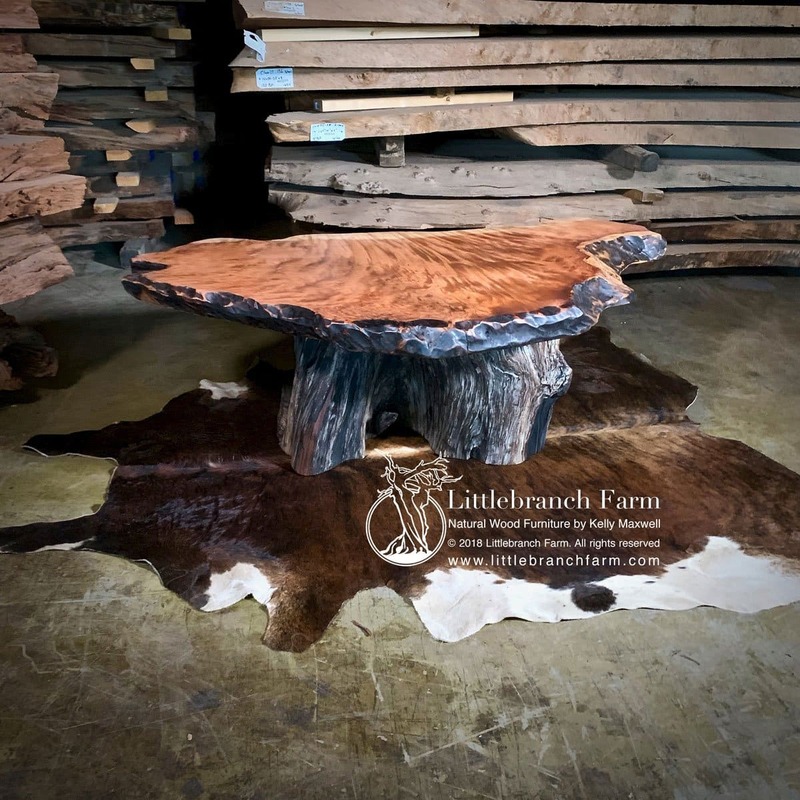 We have been designing and building custom rustic furniture sense 2001 and incorporated live edge wood into our designs since 2003. We also use burl wood that is harvested through ethical sources in the Pacific Northwest. 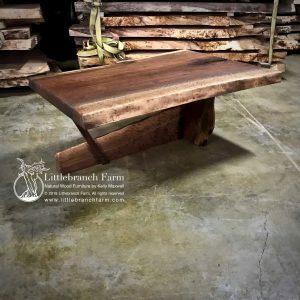 This rustic table is also available in other sizes but each table is one of a kind and can not be replicated exactly.